A return self-addressed stamped envelope is required. $250.00 to file a "Writ of Execution of Personal Property"
$1,500.00 to file a "Writ of Execution for Real Estate"
All Pistol Permits are available Monday through Friday 8:30 a.m. to 11:30 a.m. and 1:00 p.m. to 4:00 p.m.
* The applicant must be at least 21 years of age and reside in Potter County, Pennsylvania. * The applicant must furnish a valid PA Driver's License with the current physical address. A post office box, RR or RD will not be accepted as a legal residence. * The application form must be completed legibly and completely by typing or block printing in black or blue ink. * The application must be brought to the Sheriff's office personally. 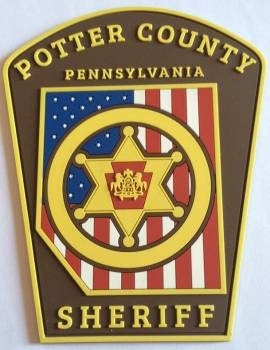 * The fee is $20.00 cash or check made payable to the Potter County Sheriff's Office. Debit or credit cards are not accepted. * Applicant is required to furnish 2 references that reside in Potter County; full name, address and phone number are needed. The references cannot be relatives or reside with applicant. * All information on the application shall be complete. * See above requirements as most are applicable. * The applicant will need a valid driver's license and FULL CARRY, NO RESTRICTION or CONCEALED CARRY permit.......permits with restrictions such as target shooting, hunting or sportsman's license are not accepted. * Addresses on both identifications must match. * Applicant may show up and obtain the application, but to expedite the process, please have the form complete and a copy of driver's license and permit in advance. **New Regulations for New York State pistol license holders** Recertification is required by law. Click here to view FAQ's and here to learn how to recertify. ** WARNING** Furnishing false information or offering false evidence of identity is a violation of Section 4904 (related to unsworn falsification to authorities) and will be prosecuted. Application to obtain a PA Concealed Carry Permit here. If you cannot print the application on one piece of paper, you will be required to sign the second page acknowledging you have read the disqualifying factors to obtaining a pistol permit. Tuesday 2:15 p.m. to 4:15 p.m. and 7:15 p.m. to 9:15 p.m.
Sunday 9:15 a.m. to 11:15 a.m. and 2:15 p.m. to 4:15 p.m. and 7:15 p.m. to 9:15 p.m.
* If you are being incarcerated, only new packaged whites (underwear, socks and T-shirts) will be accepted. Four (4) sets of each of these items are the limit. * Family may bring in one (1) set of thermals (new/white), but if more are needed the inmate is required to use commissary to purchase them. 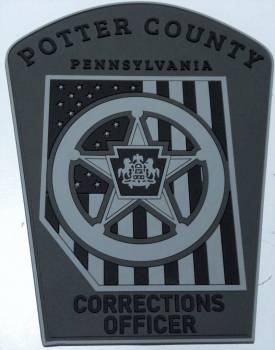 * Money sent in to the Jail for an inmate to use in commissary shall be in the form of check or money order made payable to the Potter County Jail. * 'Work Release' is a privilege and not a right. It must be court ordered by the Judge at sentencing. Work release is approved or unapproved by the Warden and Deputy Warden and is evaluated on a case by case basis. * Items being brought in for Work Release inmates are limited to three (3) sets of clothing and one (1) pair of boots or shoes. These items must be marked with the inmates name with permanent marker as we will not be responsible for lost or stolen items. * The telephone is turned on at 7:00 a.m. and turned off at 9:45 p.m. Incoming calls to inmates are not accepted; all outgoing calls from inmates are limited to 10 minutes and must be made collect. Phones are turned on every day of the week. * Mail coming into inmates is thoroughly checked. When sending mail, please use common sense; NO money, contraband or other unauthorized materials will be accepted.